11.6. 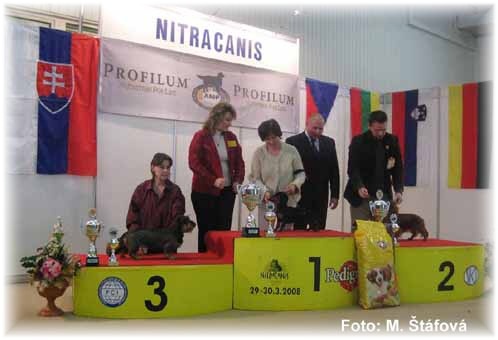 -Club show Praha LORRAINE Grand Amity baby / M. Schindler, AT very promising I. 16.10. 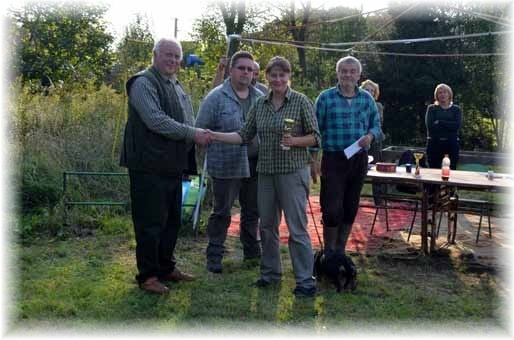 - BZH GERALD Grand Amity BZH II.pr. 17.5 - National, Jelenia Gora (PL) ÉCLAIR Grand Amity working / M. Lewandowska Exc. II. 4.4. - National, Ostrava FANIKA Grand Amity junior / MVDr. Vladimír Piskay very good III. 04.4. - National, Ostrava ÉCLAIR Grand Amity working / MVDr. Vladimír Piskay Exc. I. 01.3. 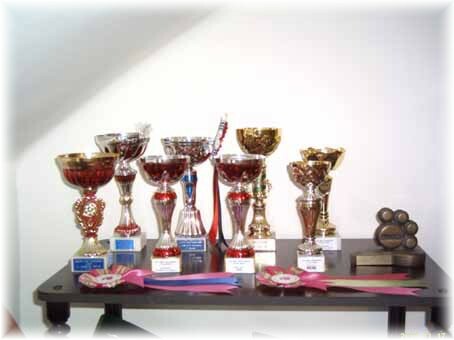 - Club show Holysov ÉCLAIR Grand Amity open / E. Niebergall (D) Exc. III. 14.9. - National Leipzig (GER) DIANA Grand Amity open / P. Buba Exc. III. 21.6. - Regional Náměšť na Hané, CZ ELANOR Grand Amity junior class / Jan Coufal V II. 19.4. - International Ceske Budejovice, CZ ÉCLAIR Grand Amity junior class / Ing. J. Temr, CZ excellent II. 12.4. - National Ostrava, CZ ÉCLAIR Grand Amity junior class / Jiří Frinta, CZ excellent III. 17.2. 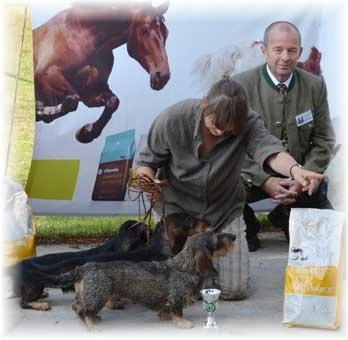 - Special club show, Holýšov, CZ ÉCLAIR Grand Amity junior class / Jan Coufal excellent II. 20.1. - International Nürnberg, D ÉCLAIR Grand Amity junior class / Anja Pusch excellent III. 2.12. - International Wels, A ÉCLAIR Grand Amity junior class / Martina König excellent II. 17.11. 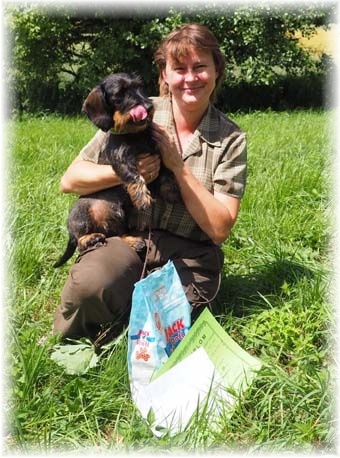 - International, Prague, CZ ÉCLAIR Grand Amity puppy class / Jan Coufal very promising I. 17.11. 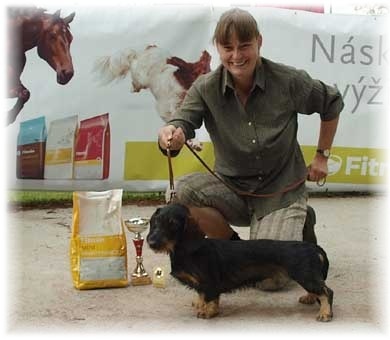 - International, Prague, CZ DIANA Grand Amity open class / Jan Coufal excellent I. 3.11. 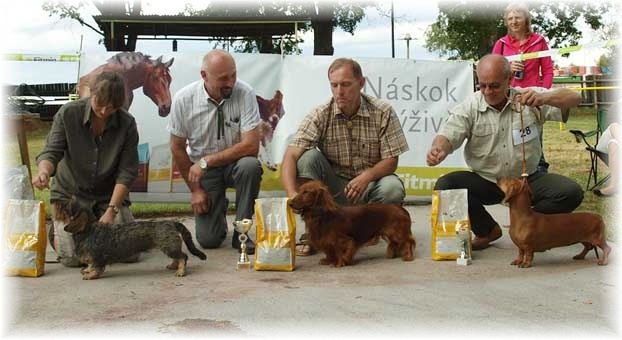 - International Nitra, SK ÉCLAIR Grand Amity puppy class / Ing. M. Stanovsky very promising I. 28.10. 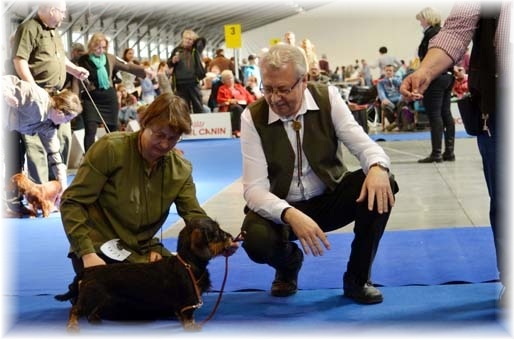 - Clubshow, Prague, CZ ÉCLAIR Grand Amity puppy class / Jan Coufal very promising I. 11.10. 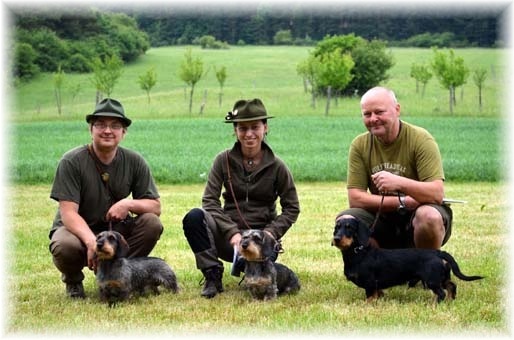 - Bundessieger Dortmund, Germany DAYVA SHEGODAY Grand Amity open/ Exc. III. 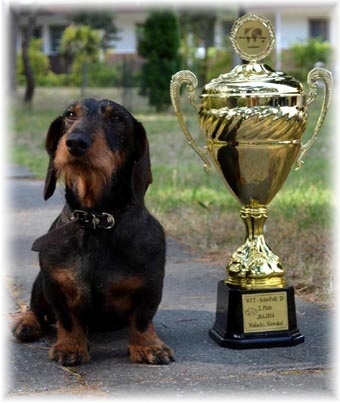 01.9. International Mlada Boleslav, CZ ÉCLAIR Grand Amity puppy / A. Auerbach very promising I. 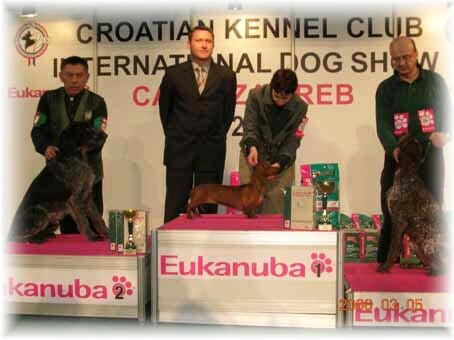 01.9. International Mlada Boleslav, CZ ELANOR Grand Amity puppy / A. Auerbach very promising II. 12.8. 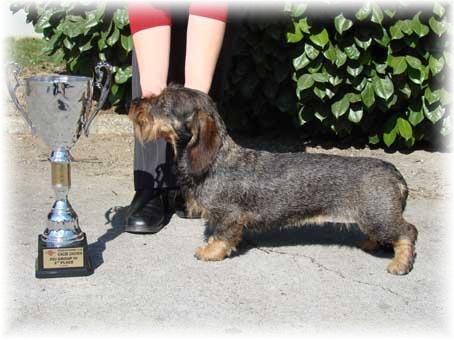 Special - Myto u Rokycan, CZ ÉCLAIR Grand Amity baby / D. Engel (D) very promising IV. 12.8. 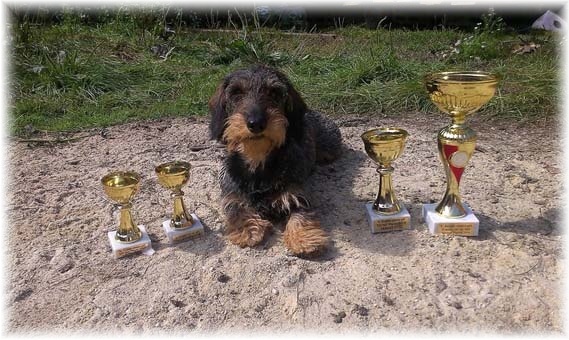 Special - Myto u Rokycan, CZ ELANOR Grand Amity baby / D. Engel (D) very promising III. 23.6. 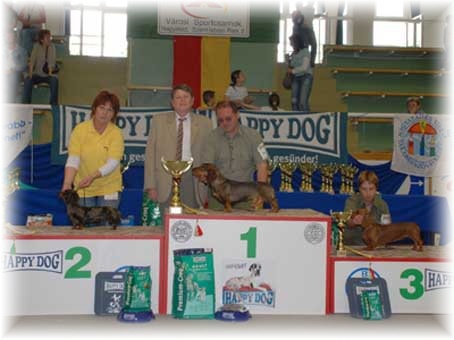 - International Brno (CZ) DIANA Grand Amity intermediate / MVDr. B. Brož very good III. 25.11. 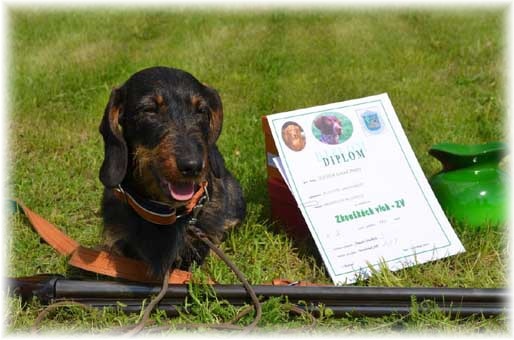 - Russinan show all breeds "Sozvezdie" (RU) DAYVA SHEGODAY Grand Amity junior / Georgij Baklušin Exc. 29.10. 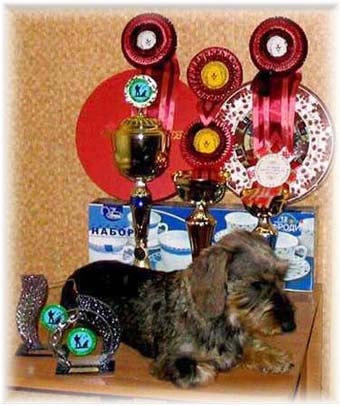 - Regional (CAC) show all breeds (RU) DAYVA SHEGODAY Grand Amity junior / Galina Formenko Exc I., CW, JCAC, BOB, BIG-I., BIS-IV. 29.10. 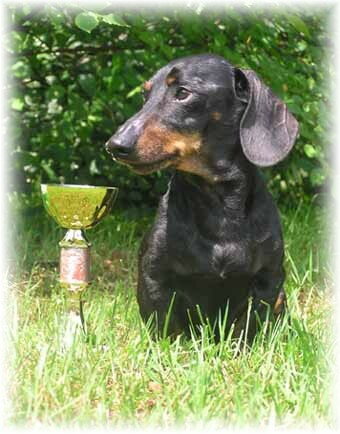 - Regional dachshund show NKP (RU) DAYVA SHEGODAY Grand Amity junior / Inna Rodina Exc. I., CW, BOB, BISJ-I., BIS-I. 29.10. 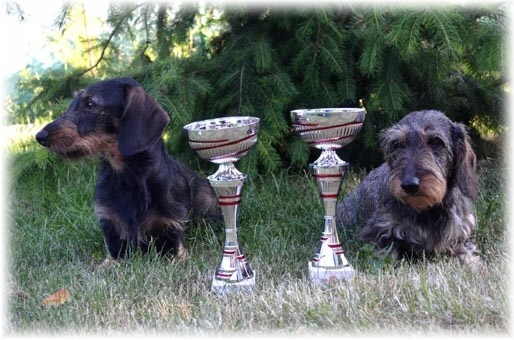 - Dachshund club show (CZ) DIANA Grand Amity junior / K. Novozámská very good IV. 29.10. 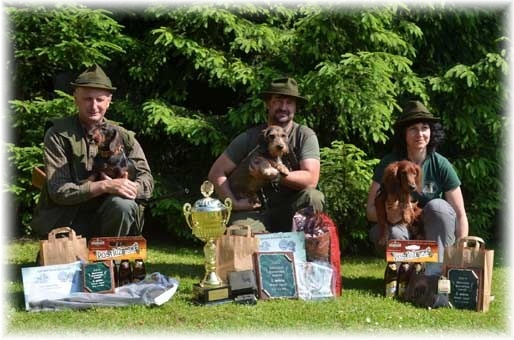 - Dachshund club show (CZ) PRIMA Rösler veteran / A. Fichtl Exc. II. 02.07. 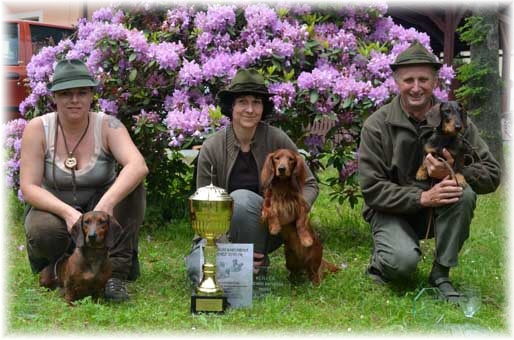 - World winner WUT, Italy BORÓKA Grand Amity working Excellent III. 03.06. 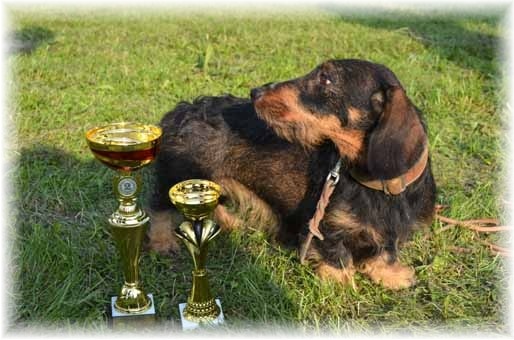 - ZN Ostrava CURLY Grand Amity BhFK (84), 11 s.
- CACIB Graz (AUT) BORÓKA Grand Amity champion very good I. 14.01. 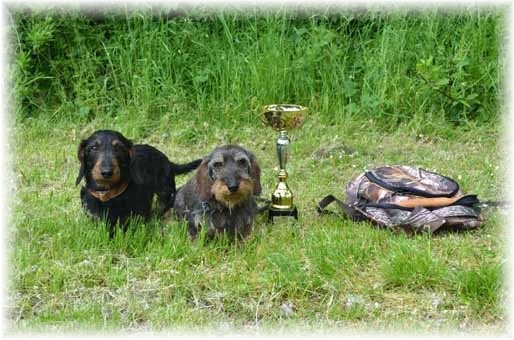 - National show Olomouc (CZ) CURLY Grand Amity intermediate / P. Buba very good I. 24.09. - CAC Brno (CZ) DANNY z Havlínského vrchu veteran / Ing. J. Temr Exc. I., veteran class win. 21.08. 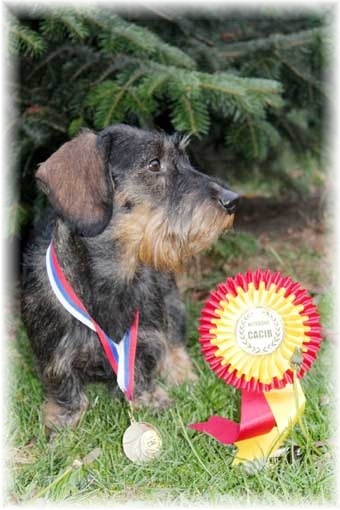 - CACIB Bratislava (SK) DANNY z Havlínského vrchu veteran / H. Voerdeman Exc. II. 20.08. - CACIB Bratislava (SK) DANNY z Havlínského vrchu veteran / W. Petersen very good II. 11.06. 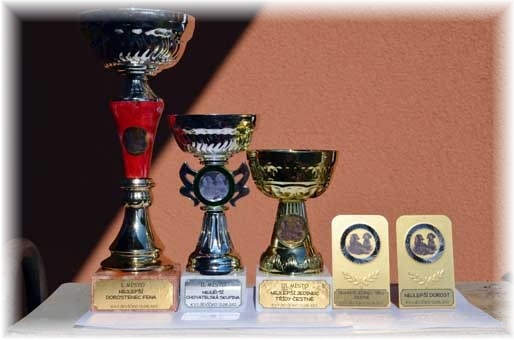 BORÓKA Grand Amity Champion BIH. 28.05. - CACIB Nitra (SK) ARMA od Baraního dolu working / L. Fintorová Exc. III. 10.04. - BZ Dunavarasány (HUN) BORÓKA Grand Amity SchwhK III.c. 12.03. - CAC Nitra (SK) ARMA od Baraního dolu open / L. Finotorvá Exc. I.